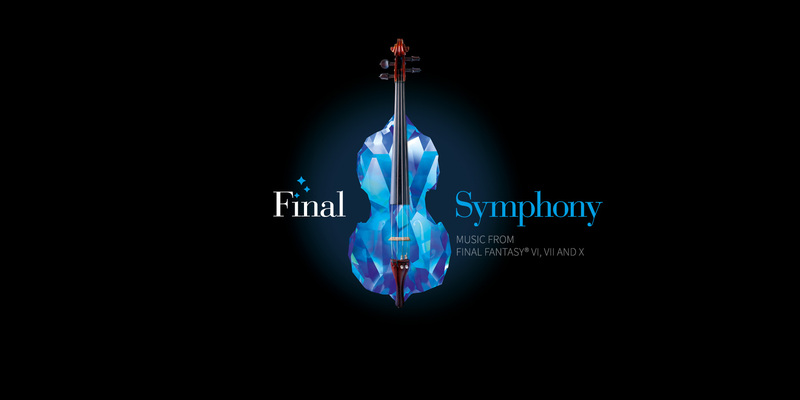 Final Symphony is an album containing splendidly complex orchestral arrangements of melodies from Final Fantasy VI, Final Fantasy VII, and Final Fantasy X and is a joint effort between the legendary London Symphony Orchestra and the composer deity himself, Nobuo Uematsu. The arrangements, by Jonne Valtonen and Roger Wanamo, are undoubtedly the best the video game music world has ever seen, taking leads from their previous endeavors: Symphonic Fantasies and Symphonic Legends. Like their previous albums, we open with an overture that captures the essence of Final Symphony, even hinting at future themes used in other tracks like Aeris’s Theme. It’s titled Fantasy Overture (Circle Within a Circle Within a Circle), which I take to be a reference to the orbs from the original Final Fantasy. But if that’s the case, shouldn’t there be four of them instead of three? Maybe it’s simply referencing how many games are featured in the album? I honestly still haven’t figured this one out. The next track is a symphonic poem of music from Final Fantasy VI and is subtitled “Born with the Gift of Magic.” As the title suggests, the piece follows Terra’s journey throughout the game from Kefka’s puppet of destruction to a loving, maternal figure, and I love how the word “Gift” is used rather than “Curse.” The piece opens with its own mini-overture, mimicking the style used in its famous Maria & Draco opera scene. Within the few opening bars, we’re introduced to Terra’s Theme, Kefka’s Theme, and the aforementioned opera’s theme. From a war-torn, desolate soundscape, we’re abruptly met with Kefka’s theme, proving to be as raucous as the gaudy jester himself with instrumental snickers shuffled in to disrupt any sense of orderly rhythm. This entire section is a circus procession descending deeper and deeper into madness, growing ever more drunk with power and insanity. The entire poem builds up to a climatic confrontation as the Returners, championing their theme, and Kefka’s chaotic theme trade blows. 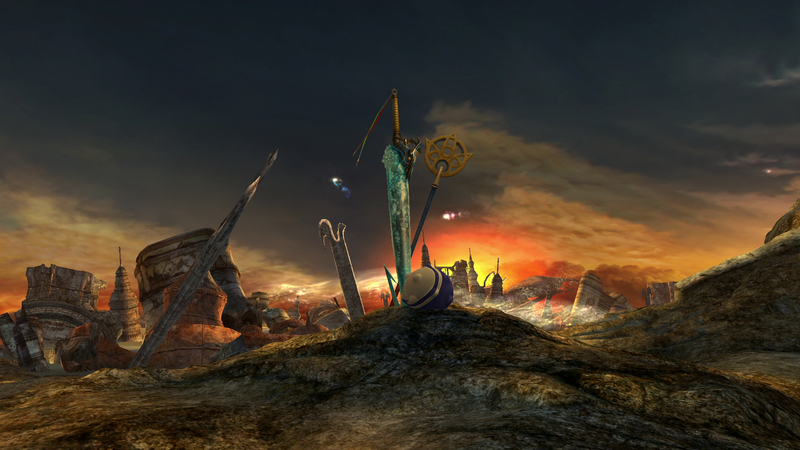 From the dust of Kefka’s crumbling tower, Terra’s Theme emerges victorious. Terra is the most soft-spoken protagonist in the franchise, even more so than Yuna, and hearing her theme projected in such a triumphant manner honestly brings me to tears. If you close your eyes at this part, you can imagine the shot at the end of the game where Terra is standing at the helm of the Falcon, with her hair blowing in the wind. Despite being the game with the least amount of pixels on this album, what Final Fantasy VI lacks in bit count it makes up for with its incredible amount of heart. While I must admit that I’m not as familiar with Final Fantasy X‘s soundtrack as I am with the others, I can tell that its arrangement into a three-part piano concerto is beautifully treated. In the first movement, titled “Zanarkand,” the game’s main theme To Zanarkand is handled with delicacy, passed around by soloists and the strings section. This serene calm quickly gives way to a slightly more upbeat levity that masks the anguish that is inherently embedded into the main theme’s notes. The extensive use of piano runs and flourishes brings to mind imagery of spirals, invoking the very image of Spira as well as its endless tradition of the summoner’s pilgrimage. It can also be interpreted as water drops or the flow of water itself, appropriate given the prominence of water in the game. The second movement is titled “Inori” and is Japanese for “prayer,” exploring the Hymn of the Fayth. It’s my favorite melody from Final Fantasy X, for it’s haunting beauty and the pivotal role it plays in the game’s narrative. The movement’s introduction has a thin, intimate texture, and the middle section focuses on theme from the Thunder Plains. The end gives the Hymn of the Fayth a disturbing color, accompanied by howling French horns and clarinets perhaps providing the voice for the Unsent or maybe even Sin itself. This leads directly into the third movement, “Kessen,” meaning “decisive battle” in Japanese and combines Sin’s battle theme with the Hymn of the Fayth. 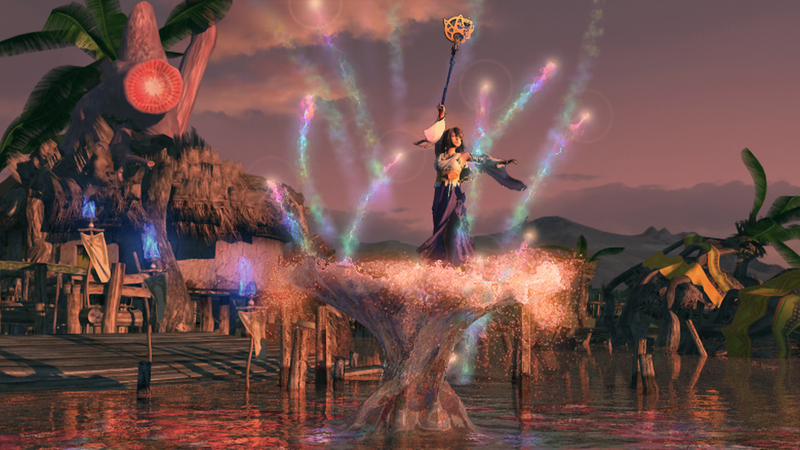 The piano solo arrangement of Final Fantasy X‘s “Suteki da ne,” is unlike any other video game piano piece I’ve heard. It goes beyond simply covering the song and treats it with a degree of sincerity. Nothing is overdone, with ornaments and dynamic changes placed carefully and thoughtfully in just the right moments. The Final Fantasy VII piece is divided into three movements as well, titled “Nibelheim Incident,” “Words Drowned by Fireworks,” and “The Planet’s Crisis,” respectively. The first of the three movements serves as an incredibly mysterious, cinematic, and ultimately unnerving introduction. This sense of unease transforms into pure horror further into the movement once Sephiroth’s theme is introduced. Like Kefka’s theme, there is a certain amount of insanity but here it feels much more sinister and sickening, particularly once it’s mixed with his dear mother JENOVA’s theme. The events at the Nibelheim reactor are recreated in this movement, with Cloud’s arrival heralded by the Opening Theme, but that sense of heroism is quickly extinguished, as if to say it isn’t quite strong enough yet. “One-Winged Angel” receives a more formal introduction towards the end, calling to mind the moment he snatches JENOVA’s head and nearly kills Cloud in the reactor. There’s a brilliant moment when the two oboes are playing what seem to be minor 2nds, a reflection of Sephiroth’s mental dissonance. The second movement may be my favorite track on the album. It elegantly weaves Aeris’s Theme, Tifa’s Theme, and the Main Theme (Cloud’s de facto theme), creating a warm quilt of emotion and color. At first glance, it may seem like a simple love triangle, but it’s so much more than that, both in the game and here in this movement. 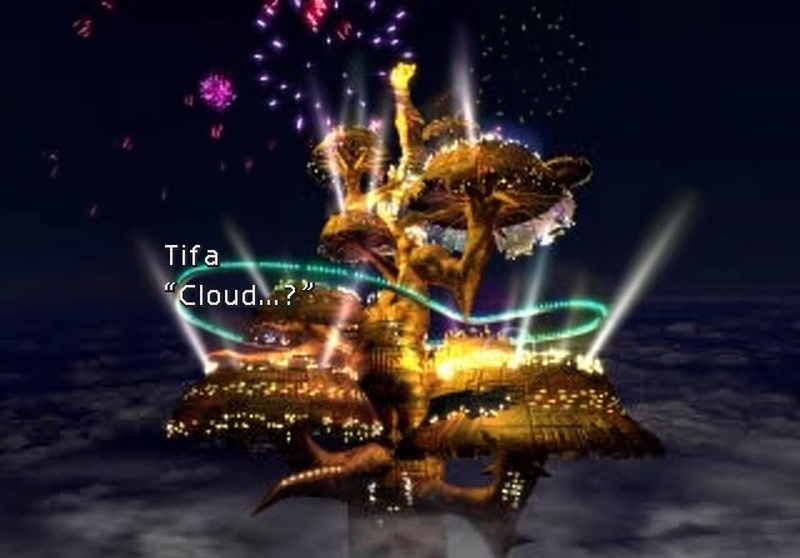 The relationship between Aeris, Tifa, and Cloud sees all three members helping each other reclaim what they lost, whether it be a loved one or one’s sense of self. Aeris’s Theme is the most prominent, reflecting her forward personality, and is contrasted with Tifa’s more shy, reticent theme, only appearing briefly in the middle. Cloud’s Theme, on the other hand, is scattered throughout the movement and tinged with uncertainty, often tagged onto or mixed in with one of the other themes, a parallel to Cloud’s dependence on his friends to regain his memories. These tender moments are ultimately spoiled by our favorite silver-haired Oedipus Rex. 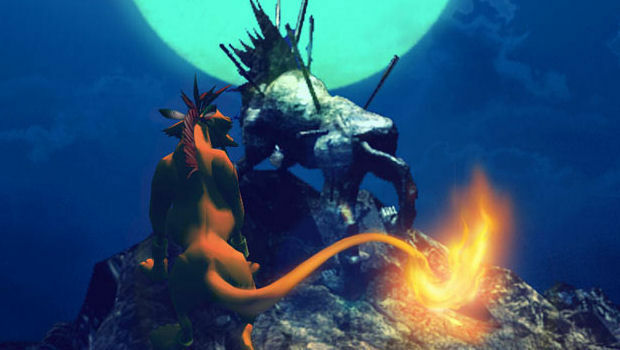 The final movement brings in the themes of other characters, namely Red XIII and Cid. Red XIII’s Theme is appropriately painted with tribal hues, featuring woodwinds and percussion. This is followed up by a more triumphant iteration with brass, which brings to mind Red XIII’s father Seto overlooking Cosmo Canyon, with more courage than Red XIII would have ever previously thought. These vignettes of character themes are interrupted by JENOVA’s theme, infecting the movement like the virus that it is. Cid’s Theme makes a heroic entrance, cutting through the soundscape like the Highwind cuts through clouds in the sky. There’s an almost uncharacteristically cute moment when it sounds like several of the characters are falling down, with orchestral hits and their accompanying themes, namely Tifa’s Theme. Once JENOVA’s theme is vanquished once and for all, the seeds of rebirth emerge out from the Lifestream, ready to germinate and heal the planet. The movement’s end, accomplishes the amazing feat of creating the sense that this is simultaneously the end and the beginning of something, closing with the iconic opening notes of the game. Most game over screens are not known to be calming, but Final Fantasy VII‘s manages to be just that. Featured in the first encore piece, “Continue?” greets you and flows directly into a more somber section with music from the abandoned Nibelheim, creating the sense of unfinished business to attend to. A hero’s job is never really done, after all. The final piece, “Fight, Fight, Fight,” combines Final Fantasy VI‘s “Fierce Battle” theme from the fight with Atma Weapon on the Floating Continent with the rarely orchestrated “Those Who Fight Further” boss theme from Final Fantasy VII. Here, the latter slices through the texture, making a glorious entrance with trumpet fanfare so grand, it would make a matador jealous. Before “One-Winged Angel” can steal the show with its final say, a train whistle blows and the curtain falls on this most impressive collection of music. With video games progressing ever closer to being recognized as a true art form, it seems appropriate that video game music should do the same. Here’s to the success of the Final Symphony project and to more wonderful works of this caliber in the future. Buy the album for $10 off of iTunes. It’s worth every penny and Gil.